When we think of different types of hunting it’s usually fox hunting that first springs to mind. That may be one of the things that the English countryside is most famous for, but it’s not the only form of hunting that’s popular in rural areas. Bird hunting is also on the increase as a rural sport. Read on for some background information on bird hunting, in particular, game bird hunting and waterfowl hunting. These are two of the main types of bird hunting in the UK. 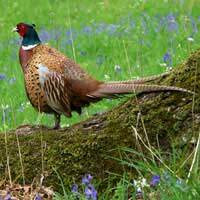 Other birds like ducks, geese, woodpigeon, woodcock and Golden Plover are also hunted in the UK, but aren’t necessarily classed as game birds. This means that they aren’t protected by the Game Act (see below for more details), and there aren’t so many restrictions on hunting them. Having said that, the hunting of waterfowl birds is still subject to regulations. Waterfowl hunting is also popular in the UK, and involves shooting wild ducks and geese. Under the 1981 Wild and Countryside Act, only certain types of bird can be legally hunted, and these include mallards (a wild duck found throughout the Northern hemisphere), tufted duck, Canada geese, teals (a small freshwater duck), wigeons (a type of duck originating from North America), White-fronted geese, Greylag geese and Pink-footed geese. The Game Act (1831) created a close season in which it is illegal to shoot game birds, in a bid to at least partially protect them. This was put in place to protect the birds during the breeding season, so that their numbers remain at a relatively constant level. The Game Act introduced game licenses that are required to hunt game birds, and also brought gamekeepers into the equation. As well as being unable to shoot outside of these designated close seasons, shooting on Sundays and Christmas Day is also illegal. For waterfowl hunting, a license is needed to legally hunt. There are also limits to how many birds you can shoot per day (known as bag limits) and how many birds you can possess in total (known as possession limits). This is to protect the numbers of birds, and often varies according to the bird in question. The British Association for Shooting and Conservation (BASC) regulates waterfowl hunting. They oversee hunting at local levels, as well as national and European levels. There are waterfowl clubs around the UK, and these offer the chance to take part in estuary trips, where there will be lots of waterfowl on offer. Do I need a game licence to hunt common grouse? If so how do I go about getting one please. How does one go about aqquiring a "game licence"?